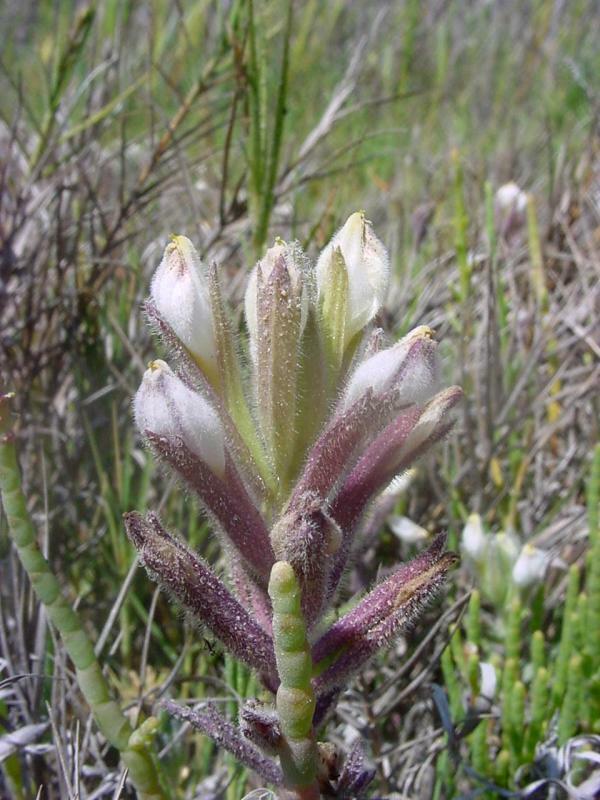 Salt marsh bird's beak is a branching, decumbent to erect annual growing 8" to 16" tall with herbage that is glaucous, gray-green, often tinged with purple and salt-encrusted, and with pubescent, sometimes gland-tipped hairs. The leaves are alternate, entire, oblong to lanceolate and from 1/4" to 1" long. The bracts are ± oblong and frequently have a pair of teeth near the apex. The inflorescence is a many-flowered spike to about 3-1/2" long with oblong-lanceolate calyces that have short, sharp terminal teeth and corollas that are white to cream in color, 2-lipped, and puberulent. The fruit is a 1/4"-long capsule with many seeds that are dark brown, reniform and deeply netted. 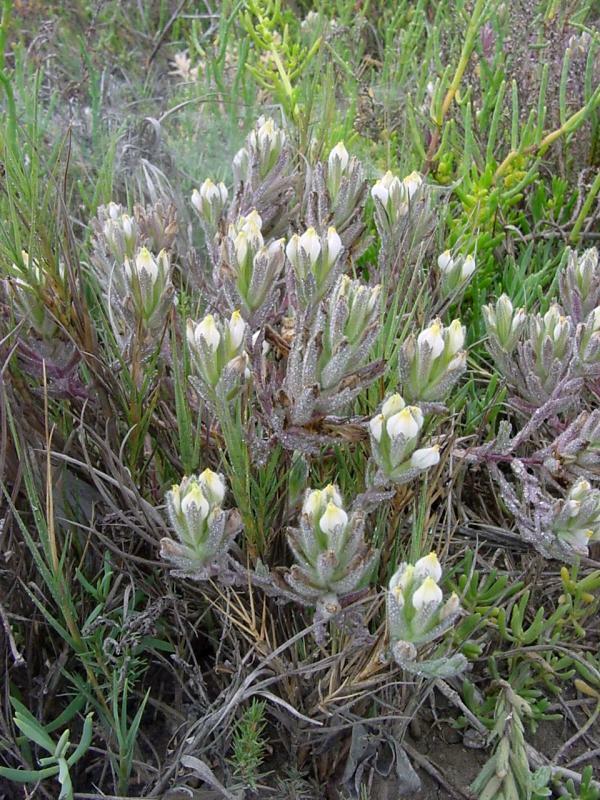 Salt marsh bird's beak is found not surprisingly in coastal salt marshes, blooming from May to October. 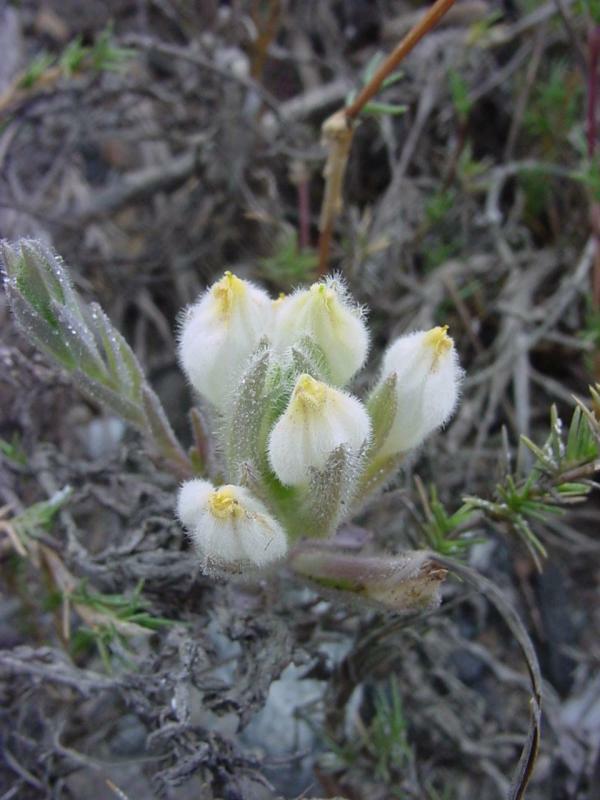 The Jepson Manual lists three subspecies for California, but only ssps. 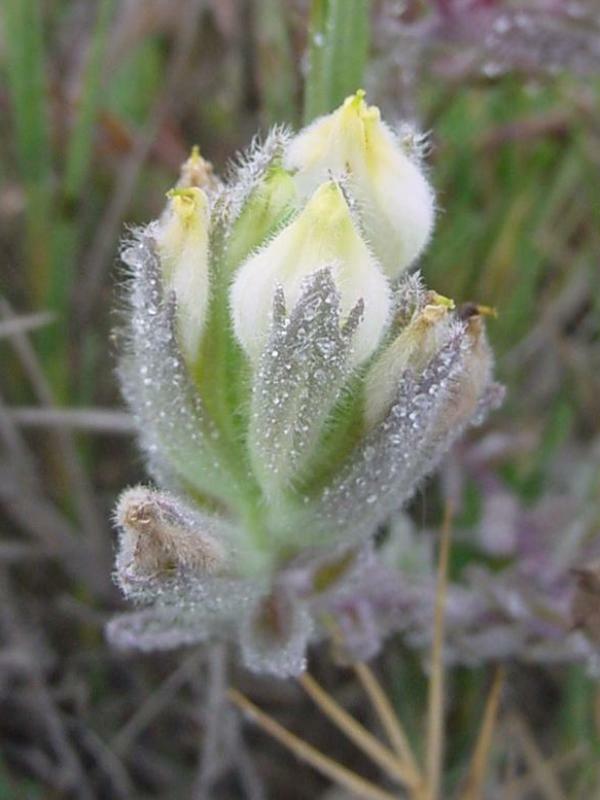 maritimum and canescens grow in Southern California and are fairly rare here. These pictures were taken at Upper Newport Bay. Click here for Latin name derivations: 1) Chloropyron 2) maritimum. Formerly Cordylanthus maritimus ssp. maritimus.